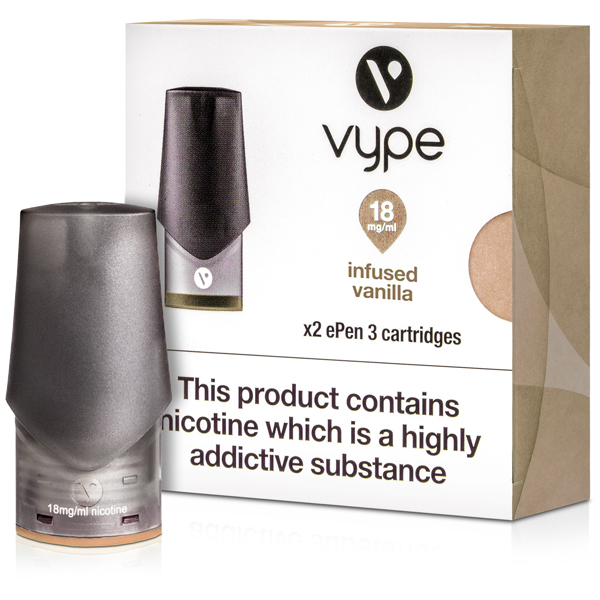 The Infused Vanilla eliquid pod by Vype is compatible with the ePen 3 Vape Starter Kit only. The vanilla flavour is light and sweet on inhale with a delicate cream on exhale for a smooth finish. Each pod is fitted with a mouth to lung coil that provides a tight inhale similar to a cigarette. This range of eliquid pods is available in 6mg, 12mg and 18mg nicotine strengths.